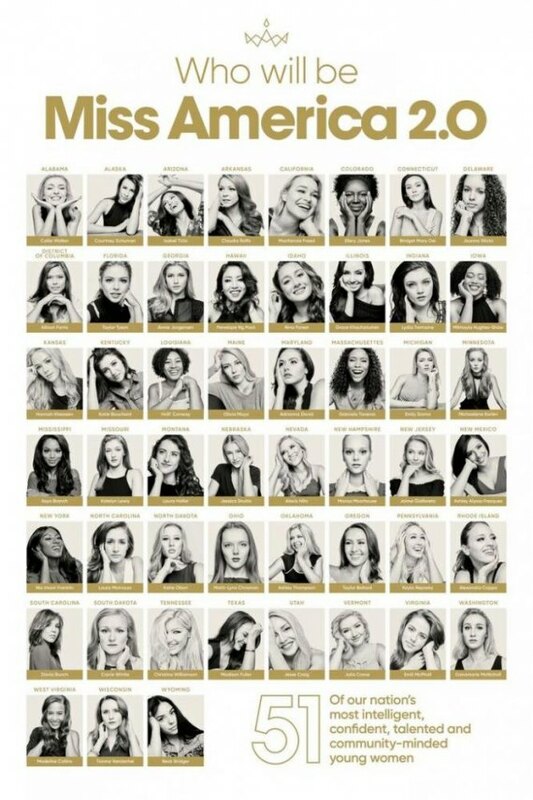 ATLANTIC CITY, NJ (September 7, 2018) – The final of the three preliminary nights for the 2019 Miss America Competition, took place in Jim Whelan Boardwalk Hall. Lydia Tremaine, representing Indiana, was named Talent winner for her vocal performance of That’s Life. Lydia will receive a $2,000 scholarship award. Gabriela Taveras, representing Massachusetts, was named the On-Stage Interview winner, a new category in the competition. Gabriela will receive a $1,000 scholarship award. During the preliminaries Madeline Collins, Miss West Virginia, was asked an onstage question Friday night about what she feels is the most serious issue facing the nation. Her 20 second response stated: "Donald Trump is the biggest issue our country faces. Unfortunately he has caused a lot of division in our country." Ms. Collins was not available for follow up comments.